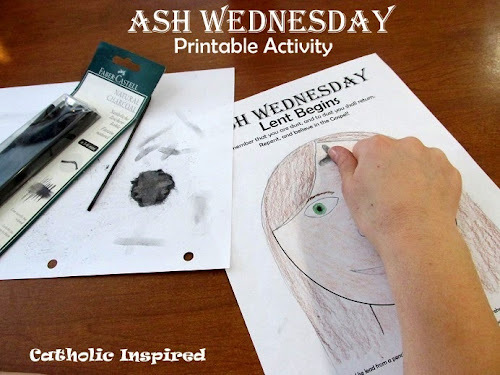 Home » Ash Wednesday » Lent » It's Lent - So what are you going to do? Lent, the time for prayer, giving, and sacrifice, is upon us yet again. It seems to come around faster every year! Well, to be honest, I have NO CLUE what I want to do this year for Lent. I have had a crazy few weeks leading up till now and the idea of Lent feels a bit overwhelming. I mean that it's really adding more stress to my already stressful life! Right? No, I actually don't think that's what it's meant to do. As I sit here in this rare moment of quiet and think about the meaning of Lent, I realize it's about giving everything over to God. It's about not focusing on the stress of life, but just living in the very moment you are in and allowing God to handle it while you take the next faith-centered step to do what make the most sense in your situation, family, and home. Lent is about showing God through prayer, giving, and sacrifice that you're okay with His plan for you. And that even though each day of your life is a stress and a struggle, you believe that every minute of each day you can still show God that He is your center. Lent is about finding peace in the rat race of life and being okay with not getting everything just right or not being perfectly comfy. Because life is not about being a perfect human and it's not about comfort; it's 100% about trying your best to stay on the path to holiness. It's about pushing yourself farther than you have up to this point. It's about taking a humble step each day toward becoming a saint. So what is the meaning of the uncomfortable Lent? It's about humbly and happily showing God that we are not of this world and will do something faith-centered, difficult, or uncomfortable to prove it! Deal with the cold (if you live in a cold climate like me) -No gloves, just put your hands in your pockets -No heat in your car. Give up empty television - If you must watch TV, then watch spiritual shows: Movies about the lives of the saints, Bible movies, EWTN, or shows that educate you about the faith - anything that helps you think more about God and His plan. Don't be so quick to make rash judgments. Always try to think of other reasons a person may have done something rude or mean. Always try to think of their side of things and consider multiple reasons why a person acts they way they do. No one is perfect - NO ONE - so stop giving harsh criticism. "Do unto others..." ... never refuse to help a person in need (as long as it's safe for you and those around you). Talk to God daily like He was your best friend! Stop grumbling about the failings of others and pray for them instead. Say the Angelus each day of Lent. If you already do, pick a different prayer to add to your daily routine. Say a daily Rosary or at least a decade. You might like this article: HERE If you already do pray the Rosary consider adding the Divine Mercy Chaplet to your daily prayers. Read books about the faith. For Example, books by Mike Aquilina, Scott Huhn, Donna-Marie Copper O'Boyle, Matt Leonard, or Steve Hemler are a start. 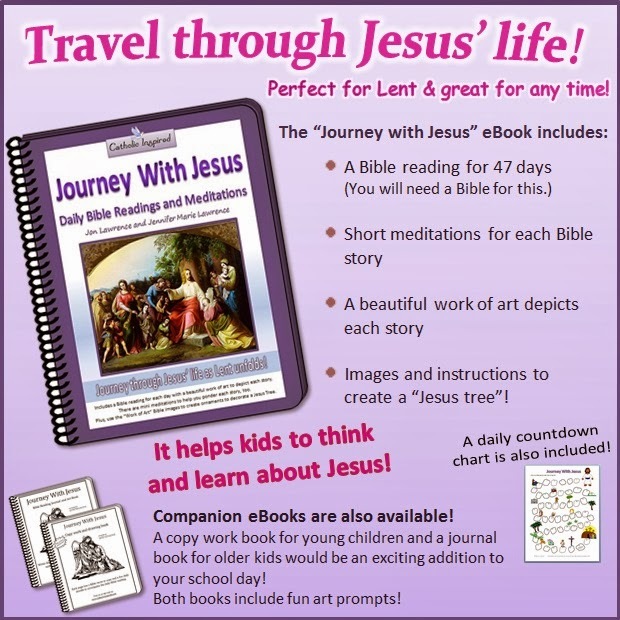 Visit The Catholic Book Blogger for more Book ideas. I don't believe that this list is even close to being a complete list. Nor is it a list that a person should pick only one item to sacrifice. We are all called to more! Strive to make Lent as full as possible. Focus more on God and others and less on yourself. Looking for activities to do with your kids? I hope this has helped you prepare for the 40 days of Lent. 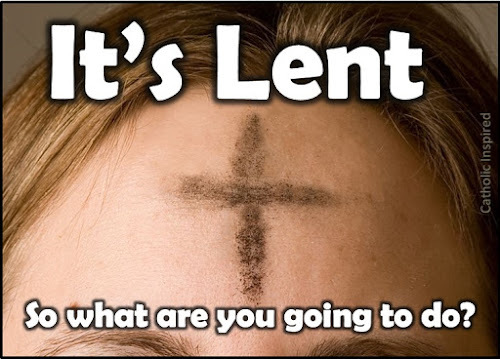 Feel free to leave a comment and share any ideas which you have on ways to grow closer to God during Lent. We would love to hear your ideas!